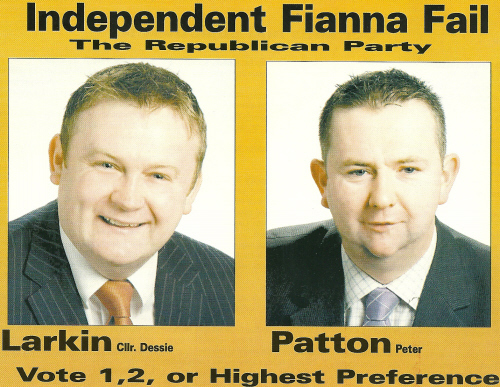 From the 2004 Local Elections a leaflet for Independent Fianna Fail candidates for Letterkenny Town Council Dessie Larkin and Peter Patton. 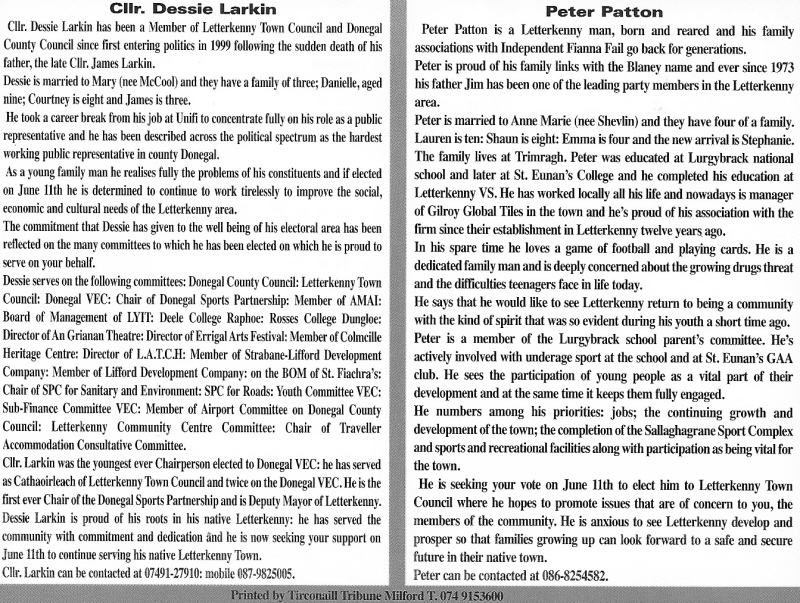 Dessie Larkin was elected but Peter Patton missed out. Dessie Larkin is the son of former Independent Fianna Fail Senator James Larkin (1985 Leaflet here). 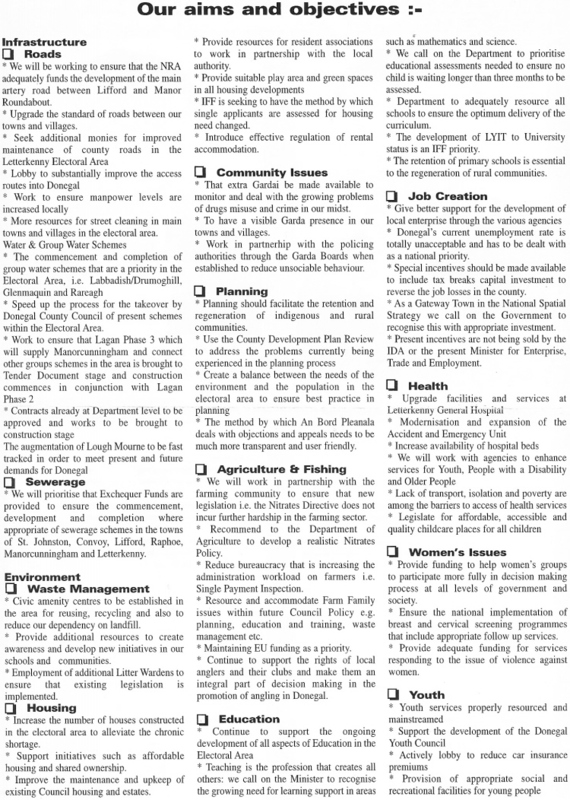 The aims and objectives of the party are fairly good. There’s little or no mention of the British presence in the North which was a mainstay of their early policies until the peace process.